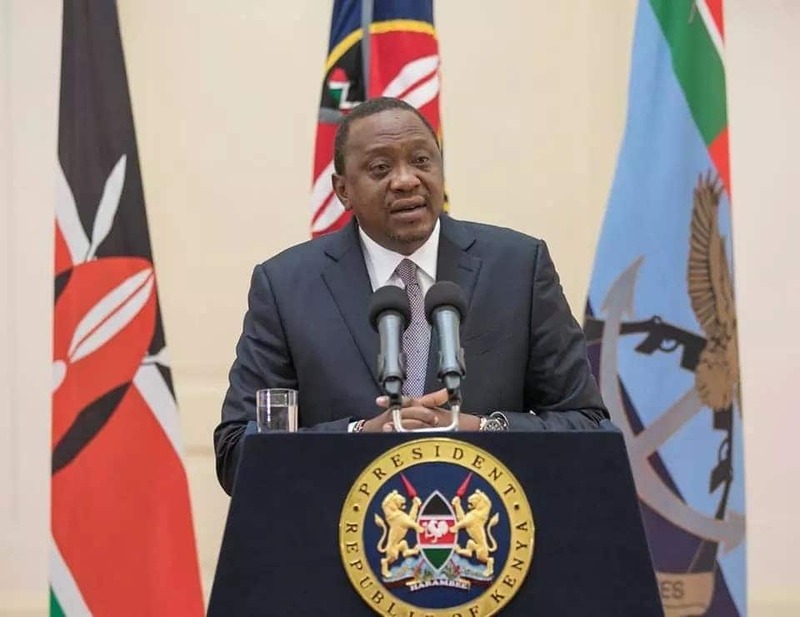 President Uhuru Kenyatta has issued a stern warning to young Kenyans hellbent on engaging themselves in unbecoming behaviours saying the government will not tolerate indiscipline amongst the young people. The president said he was proud of the young people because they are Kenya's future, but he had concern over the rising cases of indiscipline, especially in schools. President Uhuru Kenyatta on Saturday, November 24, warned he would not tolerate indiscipline amongst the young people after students insulted senior government officials. Photo: Uhuru Kenyatta. Addressing the public on Saturday, November 24, Uhuru confirmed Ambira High School students who were caught on camera insulting cabinet secretaries and confessing to having cheated in national exams would be dealt with properly. "I want to tell you young men and women, you are our future and we are proud of you, but I also equally send a very strong warning, those young fellows who think they can do or involve themselves in negative activities...As I talk to you, those young boys are where they should be in order for them to be disciplined," a visibly angry Uhuru said in reference to the Ambira High School students. The president added the young boys who had the sheer guts to publicise that they were proud to have successfully cheated in the recently concluded KCSE would be shown how the government deals with those who cheat in exams. "We will not and we shall not entertain indiscipline and abuse from our young people. You must learn to respect your elders just as much as your elders must learn to respect and nurture you," he said. As was earlier reported by TUKO.co.ke, a troubling clip had emerged on social media showing a group of Form Four students who had just finished their KCSE claiming they had cheated in the exams. The rowdy boys could also be heard hurling all manners of insults at the Interior Cabinet Secretary (CS) Fred Matiang'i and his education counterpart, Amina Mohammed, for allegedly trying to stop them from stealing the exams. "Shule huisha, masomo huisha...tumeiba (School comes to end, learning also comes to and end...we cheated)," they chanted as the set their books ablaze. Form four students from the school who had just completed their KCSE exams were captured hurling insults at the Education and Interior Cabinet Secretaries. In the 30 seconds video, which was first shared by a Facebook user by the name Denish Ochieng, on Friday, November 22, the students were supposedly celebrating the end of their secondary education. Detectives from the Directorate of Criminal Investigators (DCI) were able to unmask the eight students after their video went viral. The detectives, TUKO.co.ke established, raided the school on the afternoo of Friday, November 23, and successfully identified the boys behind the insults. "We have established the identities of all the students behind the clip. We have eight of them including the one who recorded the clip," said area DCI boss Michael Baraza. Baraza told the press they questioned a number of people at the institution, including the principal Thomas Odhiambo Kogola, security personnel and students who had pending exams. "It is now clear the entire episode took place within the school precincts. Our investigators are still there getting finer details of the happenings," he said. 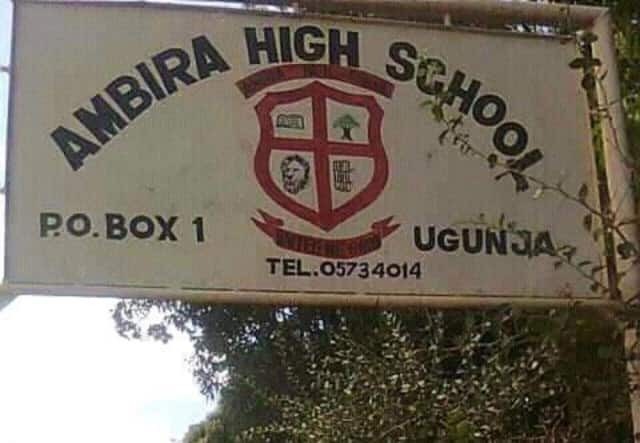 This was not the first time Ambira High School was making headlines for all the wrong reason. On July 5, 2018, the same school was on the spot after fire razed a dormitory, leaving students without places to sleep. TUKO.co.ke reported 130 learners who stayed in the facility lost all their property as Siaya county fire fighters tried in vain to put out the fire.